Android phones are the example of best smartphones. Old mobile phones are limited to only listening and hearing of two person involved into communication. But on smartphones we can rather use various apps to access features. As normal user love to play games on our device. No doubt their are hundreds of best android games are available. We can also make free call by using android free calling apps. On the other hand of all these things, most of us need call recorder for android. Few Android based ROMs provided inbuilt to call recording app. Sometimes in many situation we all need call recording feature to record call as proof. Recorded calls can be use as communication proof with others bases on prospective reasons. There are many of the best call recording apps for Android available on Google play store. In this article we are going to list out some best call recorder for android. Some of them paid and rest other are free to use. Choose any of them which suites according to your need. List Of Best Call Recorder For Android. 5. RMC: Record My Call. 8. Smart Auto Call Recorder. 10. 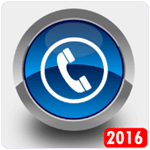 Auto Call Recorder 2016. 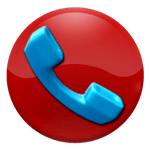 Call Recorder ACR is most Commonly used call recorder for android. Which is also available on Google Play store. 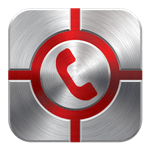 This app allow you to record all incoming and outgoing calls on your Android phone. This app provide many features like auto and manual call recording, password protection of recordings, auto delete old recordings. and supported formats are 3GP, Mp3, AAC, WAWE. It also supports cloud service to store your recording on Google drive and other place. Automatic call recorder is another call recording android app with additional features, also available on Google play Store to download. This app need not be turned on to record calls as it automatically turns on when a call is made. This app provide three default settings if you do not want to record all the incoming and outgoing calls. You can set recorder to record calls from unknown numbers, record calls of selected numbers, record calls of all available contacts. Galaxy Call Recorder as its name indicates is specially designed for Samsung Galaxy phones and is also compatible with other Android mobiles. You can set call recording to automatic and manual mode. We can also protect call recordings by password protection. Like other call recorder given above it can also record all incoming and outgoing calls. If you have Samsung Galaxy phone you must use it. 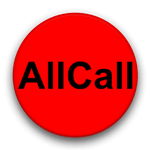 All call recorder is another popular call recorder for Android phones also available on Google Play store. After call recording we share it on WhatsApp, Google Drive etc and need apps that support cloud services. Call is recorded in 3GP format and we can also protect it by password. It provides options for playback recording, send recording and delete recordings. 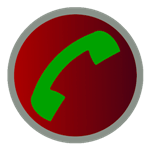 Record My Call is an another popular call recorder for android. It is simple to use record all incoming and outgoing calls with speed and accuracy. It Provide features to arrange recording according to time, day, Month, year. 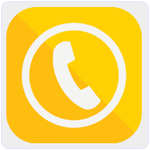 RMC: Record My Call also support cloud services and available on Google play store for free. 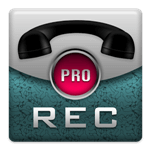 Call recorder Pro is another android paid call recorder App. The app is compatible with Nexus 5, HTC One series, Samsung Galaxy 4 and 5. This app warns you before recording a call and user can allow access to record and can restrict recording. You download it from mobile play store The Pro version allow you to set the voice qualities, restrict some recordings from deleting, support cloud services, automate the recording functions. It is developed by Clever Mobile Apps developers and its cost $5 approx. It is an amazing app in the list of call recording apps for android. It has a rating of 4.2 on Google Play Store. We can record a call according to predefined rules. We can instantly record a call by shaking our phone. It provide crystal clear mp3 audio quality. We can also use filters to record calls like record all incoming call or selected calls from contact list. Approximately 10 million user download this App. Smart Auto Call Recorder is another best app in all call recorder for android. It is a combo pack which provide screen lock and also a call recorder. It is a light weight android app which has a rating of 4.2 on Google Play Store. We can also sync this app with our email account for backup. 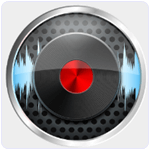 We can also choose different formats audio formats to record voice. Approximately 5 million users have downloaded this app. It is another best call recorder for android users. It is a light weight app with awesome graphics and easy to use interface. 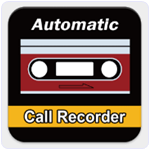 Automatic Call Recording can automatically record a call without pressing recording button. We can manage call Recording list for incoming and outgoing calls. We can also password protect this app so that no one can access this app. Automatic Call Recording can easily share recording via email, mms or other sharing app installed in our phone. Approximately 5 million users use this App. It is an amazing app in the list of call recording apps for android. It supports 10 different languages. We can record all incoming and outgoing calls and define rules to record a call. Users can also add caller details in this app like photo, name etc. We do not need separate apps for this work. It also provide smart notification for the call recording during calls. We can also backup our contacts with one click and restore them. Approximately 0.5 million user use this App. Hence, these are few best call recorder for android phone. In case we missed any of the best call recording app for android device then share it with us in comments below.